The $15,000 spent on Rock the Vote yielded 176 votes from nearly 30,000 students in the American River College Associated Student Body elections, according to the Center for Leadership and Development (CL&D) unofficial results. That voter turnout comes to an average cost of around $85 per vote. All candidates ran unopposed and were unofficially voted into office. Rock the Vote is an advocacy event to raise voter awareness and encourage them to participate in the school’s election by giving away food to students for those who participated in a survey. 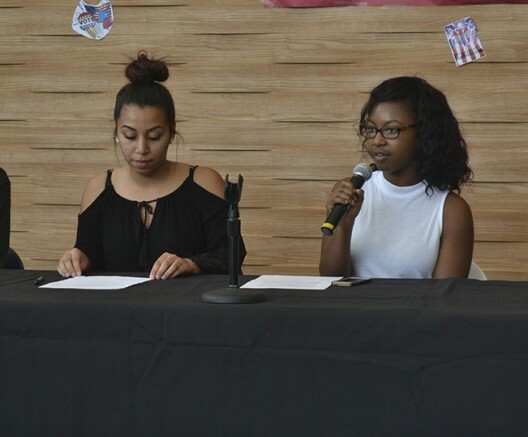 On March 10, Rock the Vote was passed by the ARC Student Senate by unanimous vote. The bill was authored by Director of Communications Tami Dunning. Roughly 1,400 students received free food from Senate because of Rock the Vote, which Director of Finance Jeremy Diefenbacher said that in itself was a success. “It’s not our fault they didn’t vote,” Diefenbacher said. Kevin Phan, Director of Finance-elect, thought more should have been done to increase student awareness with the Rock the Vote money. “As for the turnout, I am a bit disappointed that so few students voted,” Phan said. Senator-elect Laurie Jones also spoke about how unsuccesful Rock the Vote was in getting students to vote. Senate President David Hylton initially thought to block the bill. The unofficial winners for Senate’s executive positions were Valencia Scott for Student Senate president, Alejandra Hilbert for Student Senate vice president, and Kevin Phan for Student Senate director of finance. The elected senators are Julian Lopez, Roberto Garner and Laurie Jones. Both Justin Nicholson and Mary Stedman are returning as CAEB president and vice president, respectively. Be the first to comment on "Unofficial results show 176 students vote in ASB elections"